TEAM Industries has been Driving Innovation in gear manufacturing for over 40 years. Our superior quality, on-time delivery and exceptional customer support have produced a highly-satisfied customer base and have made TEAM a prominent American gear manufacturer. 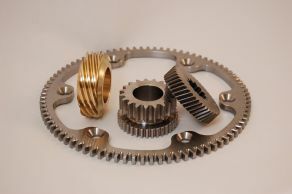 TEAM gears are utilized in a diverse number of commercial applications, including the aerospace industry. TEAM is equipped with a full range of advanced machine tools for the shaping, hobbing/shaving, and inspection of a variety of gears. 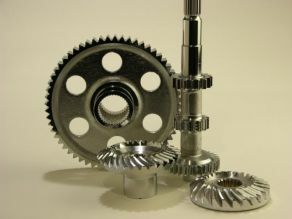 TEAM specializes in two basic categories of gears, which differ by the orientation of their axes. The most common type of Parallel Axis Gears are Spur Gears. 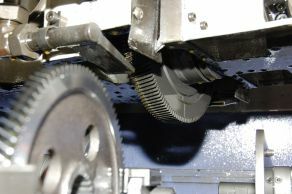 They have straight, flat-topped teeth set parallel to the shaft and are the most common type of gears used in industry. Bevel Gears are a type of gear with cone-shaped teeth cut at an angle. They are useful when the direction of a shaft's rotation needs to be changed and are usually mounted on shafts that are 90 degrees apart. However, they can also be designed to work at other angles. The teeth on bevel gears can be straight, spiral or hypoid. Spiral Bevel Gears are a type of bevel gear with conical and curved teeth with a spiral angle, designed for smooth operation. 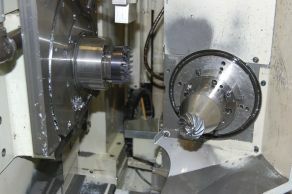 Hypoid Gears are similar to bevel gears, but operate on non-intersecting axes. 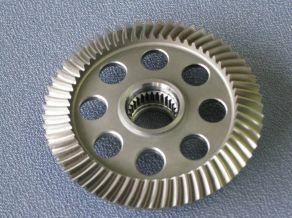 Hypoid Gears have spiral teeth that are curved and oblique, with angled axes. Zerol® Bevel Gears are a type of bevel gear with curved teeth and a 0° spiral angle. As the name suggests, Straight Bevel Gears are a basic bevel gear with a straight tooth geometry. They have tapered teeth that are widest at the outer part. 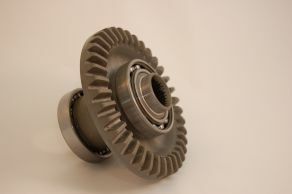 Straight bevel gears are cost-effective when transmitting power between shafts at right angles. TEAM is a proud sponsor of Ohio State University’s Gear and Power Transmission Research Laboratory (GearLab) Consortium. As a sponsor, TEAM has access to GearLab’s research and findings, licenses to state-of-the-art gear design and analysis software, experimental databases, and more. 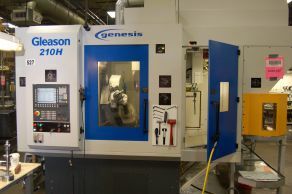 These resources keep TEAM and our customers on the cutting edge of gear and transmission manufacturing.